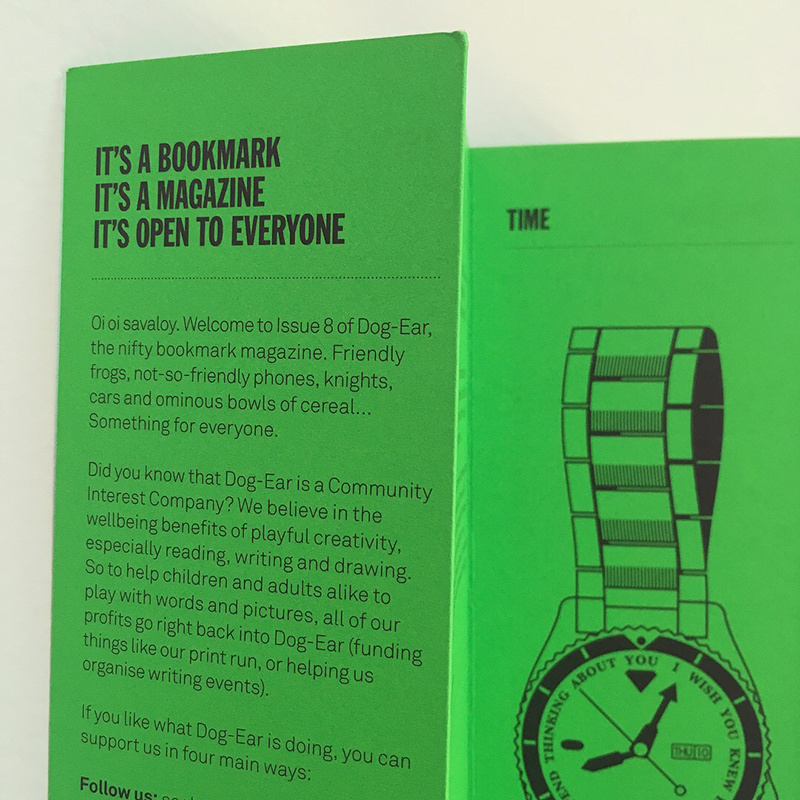 We received the newest issue of Dog-Ear, a "community interest" bookmark magazine published in the UK. We are lucky to be able to give this issue for free with web orders and purchases at Lump Gallery. The bookmark includes poetry, illustration & even a crossword puzzle. Contributors include Olivia Spidel, Charlie Methven, John Ros, Neil Laurenson, Mansour Chow, Vicki Johnson, Rebecca Field, Nathan Fidler & cover art by Tomoko Tsukiuda. In this issue, they even give The Concern Newsstand a shoutout as one of their few state-side stockists. Dog-Ear relies on donations, as in this issue from people like author Margaret Atwood (!). "It’s a bookmark. It’s a magazine. It’s open to everyone. It believes in the benefits of playful creativity, especially reading, writing and drawing. You’ll find it lurking in libraries and bookshops, or nestled between pages of other magazines. Submissions are collected and posted online. Every three months-ish, we pick our top nine and print an issue." 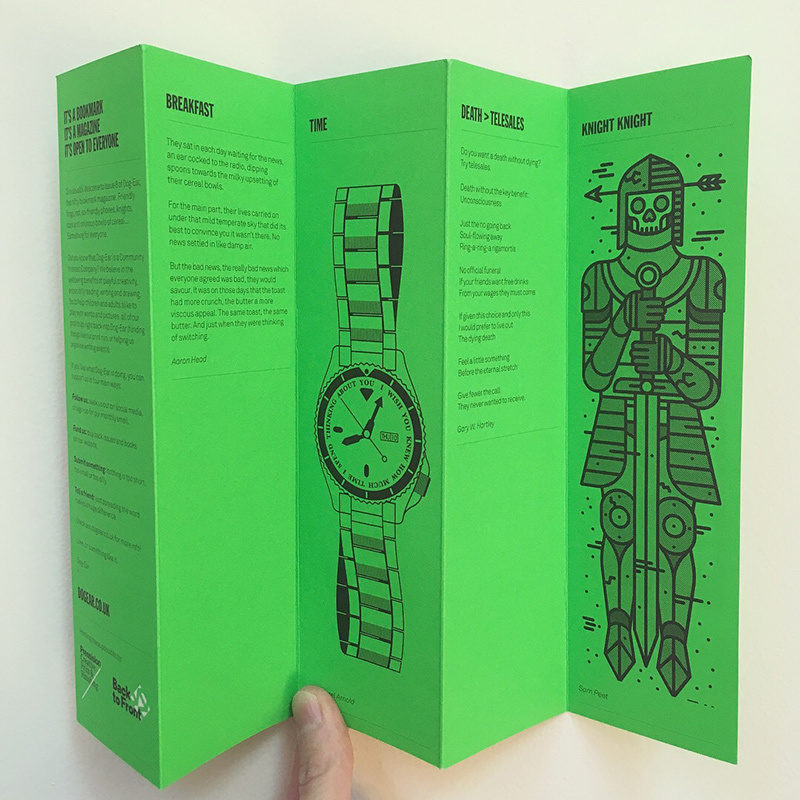 Happy to currently be the only stockist in the US for Dog-Ear, a bookmark shaped folding magazine from the UK. It includes poems, witticisms & illustrations. "It believes in the benefits of playful creativity, especially reading, writing and drawing. It's open to everyone." And in that way, it's free! 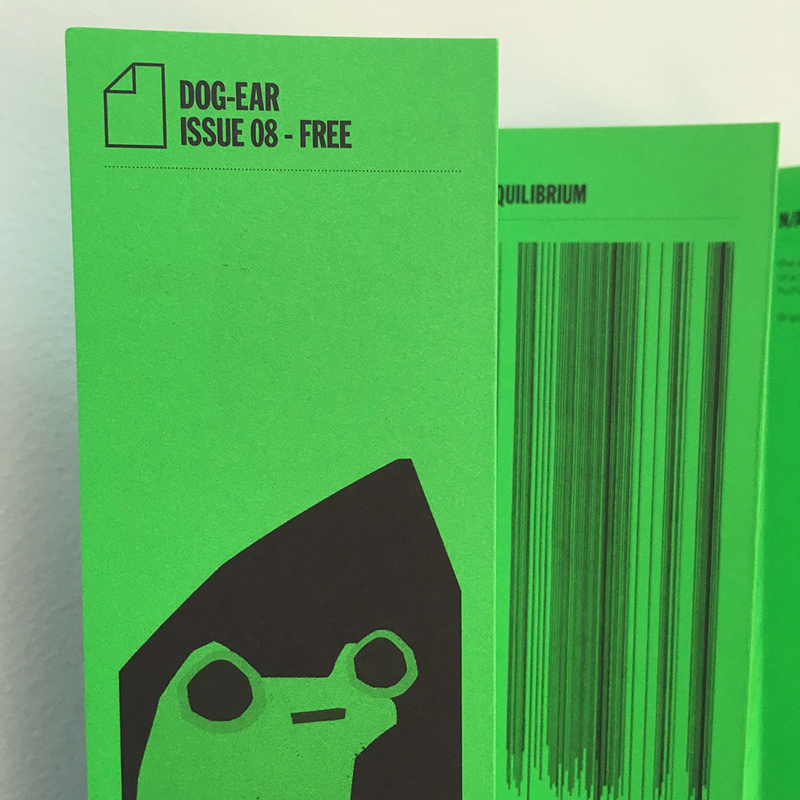 Every purchase from The Concern will receive a Dog-Ear Issue 8 while supplies last, you can also grab one at our new corner outpost at Lump Gallery starting in February. 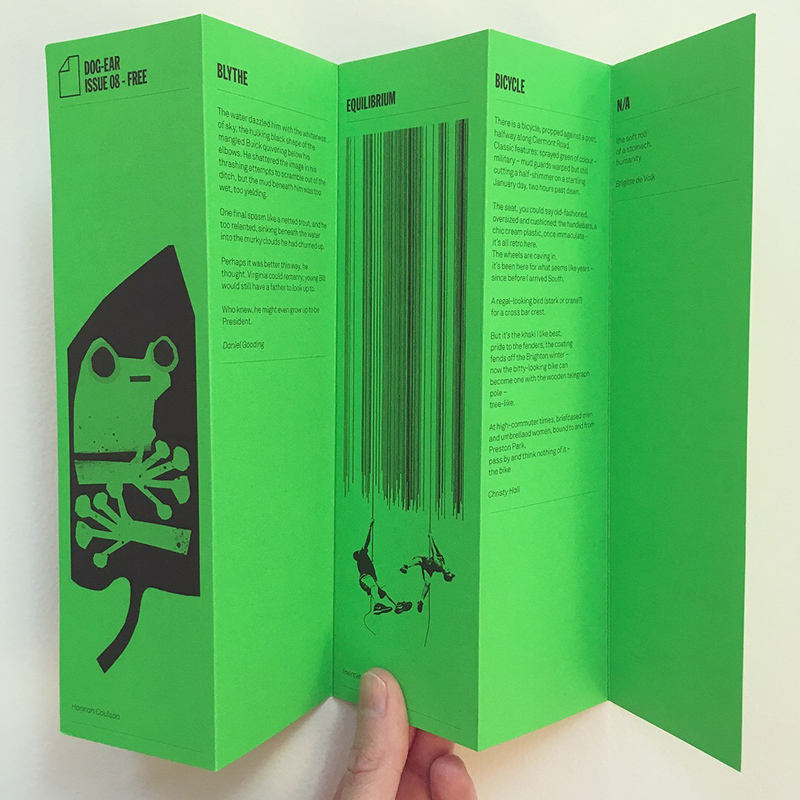 Dog-Ear is a 'Community Interest Company', meaning all of their profits go back to their business, back issues can be purchased on their website.